Dog attacks seem frequent, yet the pursuit of justice and redress is grim. 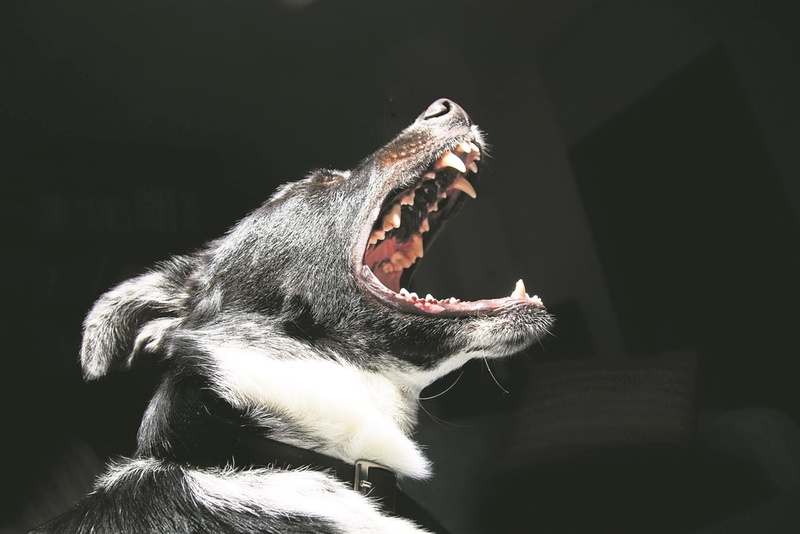 While the law relating to dog bite claims in South Africa is very clear, and states that if a dog bites you or a family member the owner of the dog is liable, dog attack survivors say little is being done to hold owners of ferocious dogs accountable. SA has the highest incidence of dog attack deaths in the world, relative to population. According to law firm DSC Attorneys, dog bites account for tens of millions of injuries annually, and in SA dogs account for 76% to 94% of animal bite injuries. Additionally, dog bite fatality rates are higher that other bites because of a lack of post-exposure treatment and appropriate access to health care. Kirstie Haslam, a partner in the firm, said there were nine dog attack fatalities in 2016, more than the total number in the nine years between 2006 and 2015. Haslam said with a high crime rate, large breeds of dogs are popular, and many dogs are trained to be aggressive for security purposes. She said that although determining the validity of a dog bite claim was a complex matter, those who had been bitten by a dog or any other animal could claim compensation for their hospital/treatment expenses actually incurred, as well as those likely to be incurred in future. “You can also claim general damages for pain and suffering, and any lost income suffered or likely to be suffered in the future,” she added. When claiming, Haslam said you would also need to prove the extent of the injuries and any long-lasting disfigurement or other injury-related difficulties. A quick Google search revealed over 20 reports of dog bites for 2018 countrywide. The number of unreported incidents is unknown. This month, The Witness reported that Lethokuhle Mabaso (13) was attacked by two Rottweilers while he was walking along Prospect Road in Howick. Lethokuhle Mabaso (13) was attacked by dogs while walking along Prospect Road in Howick this month. The dogs had escaped from a property and during the attack they bit him multiple times on his back, hips, legs, ankle and arm. Lethokuhle’s family have since opened a case in connection with the incident. 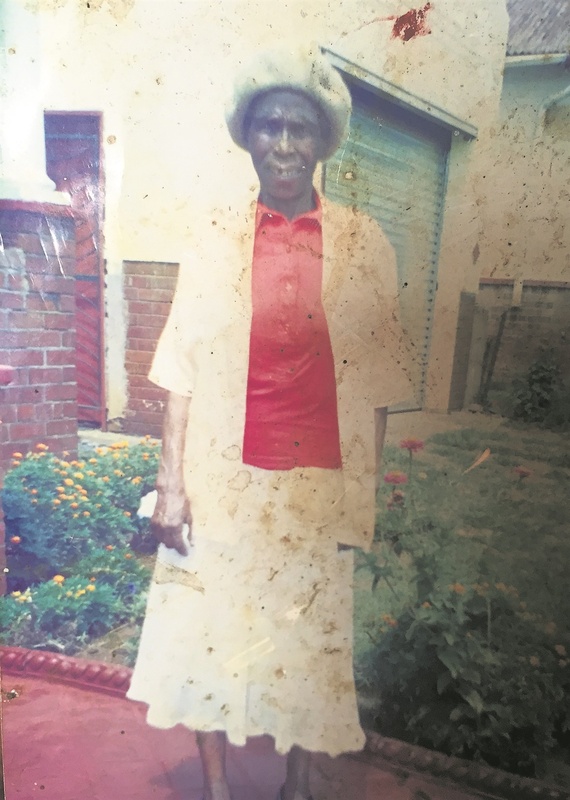 Last month, The Witness reported that a pack of dogs mauled 83-year-old Philline Dlomo. Dlomo, from the Mpushini area in Sweetwaters, was walking home when she was allegedly savaged to death by the crossbreed dogs. The dogs had allegedly attacked five other people in the community. A relative of Dlomo said the family had not received any feedback on the status of the investigation. Last October, The Witness covered a story about youth pastor Duncan Buchanan, who acted bravely when he stepped in to stop Rottweilers from attacking his neighbour in Scottsville. Buchanan was getting ready for an evening service when he heard a commotion outside his house and saw the dogs going after a neighbour. When he stepped in, the dogs turned on him. Buchanan sustained several bites in the incident, including having one of the dogs latch onto his right arm while another bit him all over his body. He spent four hours under the knife as doctors worked to fix several wounds. Buchanan was bitten across his right arm, on both thighs, on his lower right leg, on his stomach, and the dogs had taken “chunks” off his ankles. In another dog attack in 2017, student Fay Morris suffered serious bites when two Rottweilers strayed onto UKZN’s Pietermaritzburg campus and attacked her. She spent time in intensive care after the dogs bit large chunks out of her legs. A fellow student, Jaap Jacobs, was also bitten when he tried to intervene. The dogs bit him on his left foot. Jacobs said he has still been unable to claim for damages from the owners of the dogs. “The owner gets off scot free, you are just on your own,” he said. “Just my medical costs came up to R60 000. Even now I still have gym fees and I have to go and see a biokineticist to help me walk properly. “It carries on for life — you have this injury for life, yet you are on your own,” Jacobs said. He said that while he has tried to recoup some costs, he has received little assistance from the police. “In a civil claim, they put the ball in your court. “The amount of damages payable needs to be proved and getting the hospital records and other letters to prove the costs is a terribly frustrating process,” he said. 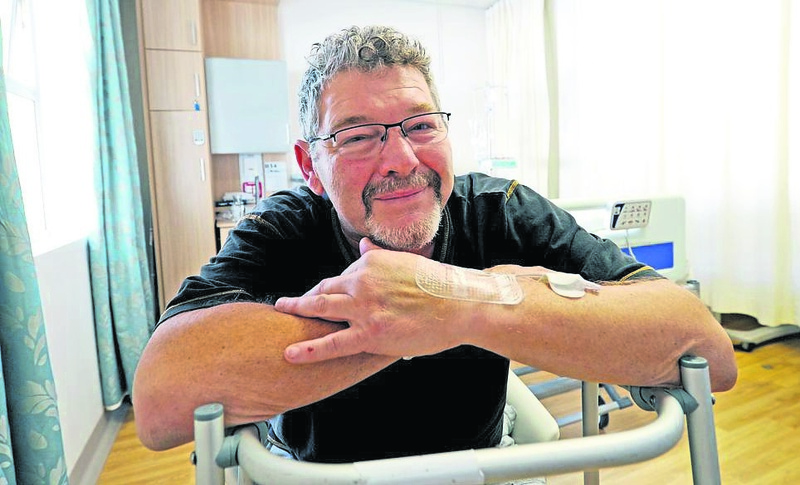 Jaap Jacobs spent some time in hospital after being attacked by dogs at UKZN. He told Weekend Witness that he was still struggling with the trauma of the incident. Jacobs said the municipality needs to enforce strict bylaws on dog owners. “When you keep vicious dogs, there must be additional bylaws. The owners need to ensure that their dogs can’t get out of their yard. There are no bylaws, and nothing happens. Howick dog bite victim Nikki Brighton said nothing had come out of her case. “It’s just useless and we have given up making inquiries,” she said. Brighton said laying a charge was not something she would normally do, but she had heard the dogs had also bitten children in the past. “Ideally, people should be aware of vulnerable people in the streets who may not like to have dogs jumping on them,” she added. Brighton had been walking her dog, an Africanis called Dizzy, in the street when a pack went for them, causing her to land up in Howick Private Hospital for the treatment of bite wounds on her face and neck. Dizzy required stitches at the vet. Brighton said while they managed to get witnesses, the police officer in charge of the case told her she had difficulties getting hold of the dogs’ owners. “She said she had been to their house but they were never at home. I just thought, this is a joke. I was not going to be the policeman, and we just left the case. There is no case; we might as well have not opened one,” she said. Brighton, a well-known Midlands education and environmental activist, said that although she is fine emotionally, physically she is a lot weaker. A spokesperson for the National SPCA, Janette Muller, said when it comes to dogs attacking people, the owners can be charged under the Animal Amendment Act and she has seen many successful prosecutions. 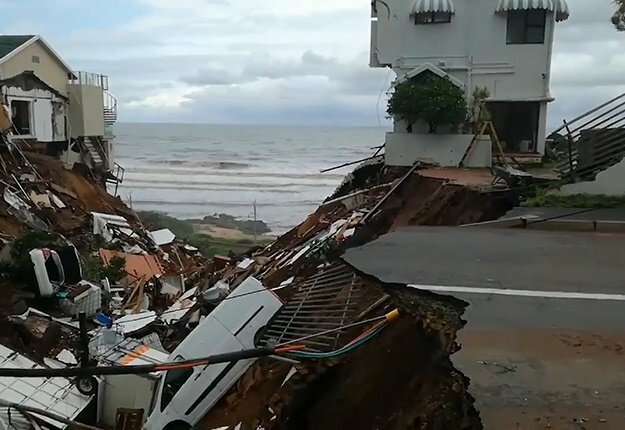 She added that it has to be proved that the owner was negligent. Muller said people who lay charges against the owners of dogs involved in attacks must follow up on the investigations. “They must not be fobbed off by the police,” Muller said. Philline Dlomo was mauled to death by a pack of dogs in Sweetwaters last month. She said the SPCA is not a law enforcement agency and requires assistance from the police or municipality, or a warrant from a magistrate to act. According to the act, any person, as a result of whose negligence their animal causes injury to another person, shall be guilty of an offence and liable on conviction to a fine or imprisonment for a period not exceeding two years. 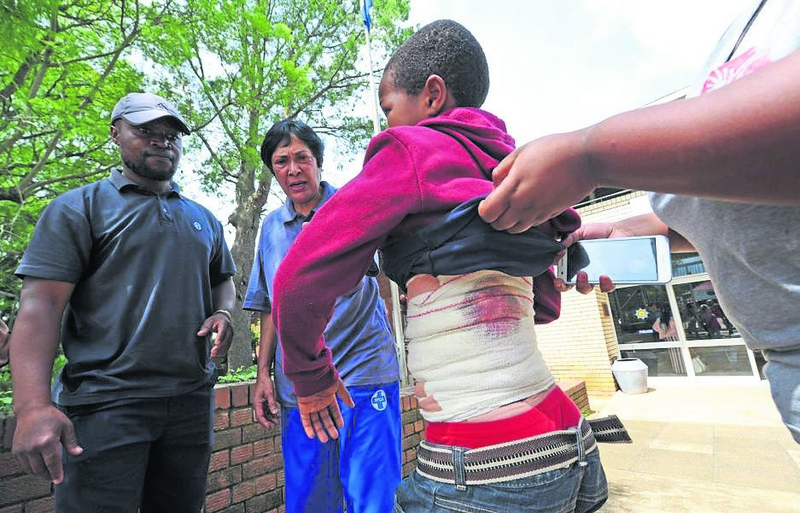 Pietermaritzburg police spokes­person Sergeant Mthoko Ngobese told Weekend Witness that police officers should regard complaints about dog attacks in a serious light and advised people to report to the station management should this not happen. The Pietermaritzburg SPCA’S Alec Wylie­ said they had noticed an alarming escalation in dog bite incidents. “Sometimes it’s due to negligent owners, temperament, upbringing, not being properly trained or socialised, fear, frustration, or possessiveness,” Wylie said. What do Msunduzi’s bylaws say? Msunduzi Municipality spokesperson Thobeka Mafumbatha did not respond to questions relating to municipal bylaws for dog owners. However, general bylaws dated September 2012 on the City’s website stated that keeping “any wild or ferocious animal” is not allowed and, if necessary, the animal could be “destroyed by an authorised official” in the name of safety. According to the NSPCA, this is what you can do to help prevent your dog from becoming a “biter”. Sterilise your dog. Sterilise your dog as a puppy. Eight to 10 weeks old is an acceptable age for this procedure and will help prevent it from becoming aggressive due to hormonal changes. Train your dog. Train your pet by teaching it proper behaviour and discipline, and encourage other members of the family to participate in the dog’s training to make the animal’s bond with the “pack” stronger, and make it less inclined to bite. Socialise your dog. Get the animal used to other dogs, puppies, adult humans and especially children so that it is comfortable in a variety of situations and will not feel threatened. Avoid aggressive play. Rough playing with your pet may seem harmless, but it can lead to dangerous situations if your dog instigates that kind of behaviour around strangers. Reward good behaviour. When your dog responds well or calmly to an out-of-the-ordinary situation, such as a strange child or adult visiting the premises, give it lots of praise and affirmation. Do your research. Before purchasing an animal, look into the breed’s background and characteristics in terms of aggression, behaviour around children and other factors such as the amount of space, attention and exercise the breed requires. Be calm. Animals, especially dogs, read human body language so by remaining calm when you are encountering other dogs or other people, you will create a calming environment that your dog will respond well to.